In October, a man brought a firearm into the emergency department of Soldiers’ Memorial Hospital in Middleton, N.S., and was behaving erratically. He was charged with possession of a firearm while prohibited, unauthorized possession of a rifle and careless use of a firearm. In March 2015, a man viciously attacked a nurse in the emergency department at the Abbotsford Regional Hospital in British Columbia. The nurse suffered trauma to the head and face and needed stitches around the eye. In October 2014, a mentally ill patient stabbed a nurse multiple times in the head and neck at the Brockville Mental Health Centre in Ontario, leaving her seriously injured. been steadily increasing over the last six years and nurses (including aides and health-care assistants) accounted for more than 40 per cent of all violence-related injuries, according to WorkSafeBC. In Saskatchewan’s health-care industry, 8.84 per cent of the time-loss injuries in 2016 were caused by assaults, violent acts, attacks and harassment. Violence is the fourth highest cause of injury within health-care. Across all industries, nurse aids, orderlies and patient service associates suffer the most injuries from violence, according to the Saskatchewan Workers’ Compensation Board. In Ontario, violence claims make up 11 per cent of the lost-time injuries in hospitals, according to the Ministry of Labour. In 2015, 31.8 per cent of lost-time injuries due to workplace violence occurred in the health-care sector. Two-thirds (66 per cent) of nurses in New Brunswick reported physical or verbal abuse — or both — in the past year, according to a survey by the New Brunswick Nurses Union. While all health-care staff is at risk for violence, nurses experience the lion’s share as they interact with the public the most. The type of violence that is most often experienced is from patients or residents. Health-care facilities are also seeing more aggression from family members and visitors. Sometimes the violence is intentional, such as when an individual brings a firearm or knife into an emergency department or when patients are spitting, punching, choking, kicking or biting staff with the intent to cause harm. A survey of members by the Manitoba Nurses Union found 46 per cent had been punched and 39 per cent had been bitten. Other times, the violence is unintentional. “It could be a patient who is acting out because of an underlying medical condition. It could be dementia delirium; it could be medication reactions; it could be physical things like an electrolyte imbalance or low blood sugar. So they are reacting because of that and they maybe don’t understand the consequences,” says Henrietta Van hulle, executive director, health and community services, at the Public Services Health and Safety Association (PSHSA) in Toronto. The type of violence can range from physical assaults to verbal abuse, threats and harassment, which can cause psychological injuries. Incidents seem to be more severe now than ever before. Over the past five years, client cases have become much more complex, says Shelley James, manager of organizational health and safety at Northwood, a long-term care and home-care provider in Halifax. Many provincial governments — including Nova Scotia, Ontario, Saskatchewan and Manitoba — have launched specific initiatives to address the growing problem of workplace violence in health care. One such initiative is around reporting. While the number of incidents and injuries caused by violence is already staggering, the real numbers are likely higher because incidents are largely under-reported. Nova Scotia is requiring health-care facilities to have different options available for staff to report violence, such as on their computer, mobile phone, tablet or on paper. Staff must understand the obligation to report workplace violence and be able to do so without fear of reprisal. They are required to notify their supervisor or manager about all incidents or threats, even if there is no injury. Ontario’s recently released Workplace Violence Prevention in Health Care Report includes 23 recommendations to reduce incidents of workplace violence in hospitals and across the health sector. 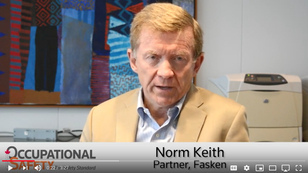 One recommendation notes the reporting system must capture workplace violence incidents that result in psychological as well as physical injuries. Northwood has a strong culture of reporting; one that actively engages managers as well. “If people come to see me for an issue I will say, ‘Did you report that?’ and if they say no, we will sit down and do it together or get the manager to do it with the employee,” says James. One issue to keep in mind is that some employees may not be reporting workplace violence because it just doesn’t really bother them, she says. A risk assessment is the critical first step in determining what solutions can be put in place at any given health-care facility to address violence. PSHSA recommends workplace violence risk assessments be completed at least annually. Revisions are needed when there is a change in the nature of the workplace, type of work or conditions of work, such as decreased staffing levels or increased resident population. It recommends assessments be completed for the organization as a whole as well as the specific department or unit. Individual client risk assessments are also very important. This should include behaviours observed, history of violence and risk rating scale, according to PSHSA. Employers are required by law to take every reasonable precaution to protect the worker, including disclosing information about a violent or potentially violent patient. Patient flagging can help with such disclosure as it identifies violence-related risks and signifies to the worker to take extra precautions. Flagging can take many forms. One common approach is using electronic health records, but it’s important the flag stands out. The system should use either active flags (where a pop-up is displayed each time the file is opened) or passive flags (which are prominently displayed on the screen), according to PSHSA. Colour-coded labels and pull-tabs can be used on paper-based charts. Other visual cues may be colour-coded wristbands, door or bedside signage, coloured markers outside a patient’s door or a sticker on a mobility aid. These visual cues can relay safety concerns to members of the care team who do not have access to patient medical records, such as housekeeping, maintenance, volunteers or the dietary staff. Security personnel play an important role in health-care facilities. Nova Scotia is requiring full integration of security personnel into the care team for emergency departments as of August. They must be trained with other members of the care team, given guidelines for workplace safety and included in safety huddles and joint occupational health and safety committees. In the case of a “code white” — an actual or potential violent or behavioural situation — nurses should not be involved at all in physically handling the patient, rather, security should step in, says Duteil. Northwood found that “code white” often escalated the situation when it was health-related violence — violence due to a mental health issue, for example — so it’s using “code blue” (a medical emergency) for these instances. Personal communication devices are important tools in keeping health-care workers safe, but they are not as prevalent as they should be, says Duteil. “Why don’t nurses all have two-way communication systems? I toured Vancouver General Hospital the other day and their emergency nurses — in a very large department — have no method of contacting each other in the event of an emergency,” she says. A personal communication system may be particularly useful for community nurses who often don’t know what they are getting themselves into when they go into a client’s home. The government of Nova Scotia requires all health-care employees who may be alone with patients, visitors or family to have a tool to contact other staff or request assistance. Northwood’s smaller nursing home is currently piloting personal panic buttons with nurses on the night shift. “If you are in a room with a resident and something happens, the door shuts, you could yell and people wouldn’t hear you, so they are able to press that. We don’t have the evaluation of that yet, but it’s something we’re trying for lone health-care workers on night shift,” James says. Other forms of communication can help ensure the safety of staff, such as an emergency button under the desk or a dedicated emergency phone number. Heath-care staff need to be properly trained on handling violent and aggressive situations. All staff should receive basic orientation around workplace violence. From there, each organization should use a risk assessment to decide which level of training each employee needs. staff undergo training for dealing with dementia, since its clients are senior citizens. The government of Nova Scotia also requires hands-on training in non-violent crisis intervention for employees in higher risk areas. This includes different holds and physical techniques that can be used if a patient does become violent. It’s important to note that properly responding to a crisis situation is something that needs to be learned and practised, says Van hulle. It’s also important for health-care workers to learn to constantly be aware of their surroundings. They should never allow themselves to be cornered in a room, they should always be able to locate a safe exit and they should be monitoring what could be used as a weapon, says Cripps. If a violent incident does occur, a robust investigation must be conducted. All involved parties must be interviewed, including the patient. “The patient may have insight that may help. How did they feel before it happened? Was there a trigger or something that caused them to escalate? Is there anything we can learn from that event?” says Van hulle. The occupational health and safety manager should look for trends across incident reports and conduct a root cause analysis to really get to the bottom of why the incident occurred. Is it a lack of preparedness? Lack of equipment? Poor communication? Is one particular staff member a trigger for one patient? Is a patient reacting poorly to new medication? Then the OHS team can implement appropriate strategies and controls. It’s also very important to circle back to the worker who was the victim of violence once action has been taken, says James. 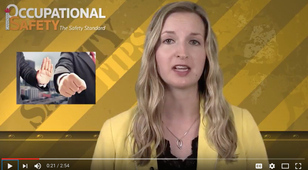 Ontario is amending its Occupational Health and Safety Act to require employers to inform workers of the results of a workplace violence investigation and of any corrective action being taken. BCNU is calling for harsher sentences for individuals who are violent towards nurses. Ryan Stard, the man who attacked the nurse at the Abbotsford Regional Hospital in 2015, did not serve any jail time for his offence. The judge said there was no definitive answer for why Stard snapped, but in the days leading up to the incident, he had not slept or eaten properly and was anxious and depressed after breaking up with his girlfriend. He pleaded guilty to assault causing bodily harm but was given a conditional discharge, meaning if he keeps the peace for three years, he will not have a criminal record. Meanwhile, the nurse suffered tremendous mental stress and is still off work, more than two years later. Like all workers across Canada, health-care professionals have the right to refuse dangerous work. Unfortunately, it’s very hard to tell health-care workers that sometimes they need to back away and not provide care because they truly want to care for their patients, says Van hulle. “We have heard examples of health-care workers who have put themselves at risk in the event of a fire to save patients. It’s the same thing for workplace violence,” she says, adding some nurses are worried they will get in trouble with the College of Nurses of Ontario if they refuse work. 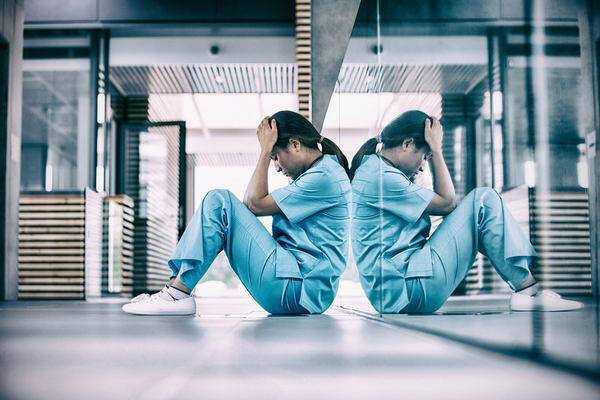 The Ontario report recommended the government work with the College of Nurses of Ontario to provide more clarity related to nurses’ right to refuse to provide care to patients in hazardous situations, where the hazard is workplace violence. Violence takes a toll on health-care workers. Those who have been victims of violence are missing work and suffering from a variety of mental health issues, says Duteil. To help nurses cope, BCNU has launched a 24-7 violence support hotline answered by trained trauma counsellors who offer immediate support. Workplace violence not only affects the health-care workers themselves, it negatively impacts the organization. There are huge costs involved when nurses are off work due to incidents of violence, including workers’ compensation claims and sick days. In Canada, out of 34 occupational categories, more workdays are lost among nurses than any other category, according to the PSHSA. Presenteeism — when workers are at work but not performing at their full capacity — also becomes an issue. Incidents of violence negatively affect an organization’s reputation and ability to recruit talent. This is especially concerning in provinces facing a nursing shortage, such as B.C, which is experiencing its worse nursing shortage in more than 20 years, says Duteil. But the main repercussion for organizations is that the quality of care suffers if staff members are being exposed to violence, says Van hulle. It helps to tug on the heartstrings of senior leaders if you’re trying to get their buy-in — and more resources — for violence prevention initiatives. Try to mine some stories from your own staff members who have suffered violent incidents and bring these to leadership, says Cripps. “If you can say, ‘Here is an example that happened yesterday. This happened last week,’ the richness of the story and the currency that brings to the conversation, you can’t put a price tag on it,” she says. While Cripps is working with partners throughout Saskatchewan on a provincial initiative to address violence in health care, she feels they are “one day ahead of the storm.” They have a lot of momentum right now, but they need to put some corrective measures in place before somebody gets seriously hurt, she says. Amanda Silliker is the editor of COS. This article originally appeared in the August/September 2017 issue of Canadian Occupational Safety. How do I deal with violence in the workplace?